Brian Halligan is one of those people who is likely to make you feel really slothful. In 2009, he has been building his 100-person digital marketing company in Cambridge, HubSpot. Earlier this month, he was speaking at and helping to emcee the Inbound Marketing Summit at Gillette Stadium. He has a book, written with HubSpot co-founder Dharmesh Shah, that's officially out today. And he has also just raised a third round of venture capital -- $16 million -- for HubSpot, led by a Silicon Valley venture firm. The company offers software and content that helps businesses understand what HubSpot calls "inbound marketing" -- essentially, a new kind of marketing strategy that uses blogs, Twitter feeds, and specially-designed Web sites to help interested prospects discover you, instead of spending zillions to broadcast a marketing message out into the void. The book from Halligan and Shah, Inbound Marketing: Get Found Using Google, Social Media, and Blogs, is quite simply the best collection of practical, tactical advice I've seen to explain this important shift in marketing. I spoke with Halligan last week to ask how on earth he'd written a book while running a start-up. We also talked about the new funding round. "The book was written on nights and weekends," Halligan told me. "I went up to Stowe to ski for three days, and I brought my laptop. I wound up writing for 24 hours a day, and didn't ski at all." He said that he and Shah decided not to hire a ghostwriter to work with them. "It took us three or four months to plow through the whole thing." To other CEOs, he advises that writing a book can be a good idea to spread your ideas, "but hire a ghostwriter to help you do it." I mentioned to Halligan a recent post that he had written on his blog, asking "Is PR Dead?" Dozens of PR people posted comments defending their profession. I told him that a PR person had e-mailed me last week about the book (well after I knew about the book and had received a reviewer's copy of it), suggesting that I interview Halligan. (I'd already been planning about writing a post when the book's publication date arrived.) "It's just a waste of money," he said of that kind of PR. "PR needs to get reinvented from scratch." He told me that the PR person who'd connected with me had been hired by his publisher, and that HubSpot itself doesn't have a PR agency on retainer. HubSpot's latest round of financing, $16 million, was led by Scale Venture Partners of Foster City, Calif. That follows a first round in 2007 of $5 million (led by Cambridge-based General Catalyst) and a second round of $12 million last spring (led by Matrix Partners, located on the lofty plateau of Mount Money in Waltham). 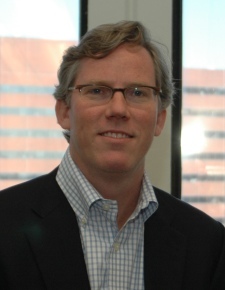 Halligan noted that HubSpot was following several other Boston companies, including Kayak, ZipCar, and A123 Systems, in bringing in a west coast investor. While Matrix and General Catalyst are participating in this latest round, "We didn't even talk to east coast investors," Halligan said. "We went straight to Sand Hill Road. We wanted to get some of the software-as-a-service and Internet expertise from out west. And our existing investors pushed us to go out west." (Also, Halligan knew one of the partners at Scale from his days running the Asia market for Needham-based Parametric Technology Corp..) I suggested that taking a bit of Silicon Valley money, and adding a west coast board member, gives a company a kind of bi-coastal Good Housekeeping seal of approval -- and Halligan agreed. "We also think it'll help us get plugged into the Valley," he said. Thanks for bringing this forward Scott, for those still unfamiliar with the work of Brian and Dharmesh, this short article offers them some insight. As we continue to see the growth of the internet as a preferred choice of information gathering by both business and consumers, the concept of inbound marketing is what ultimately makes sense. As a community (global) we look for what we want now, not what companies necessarily want us to want. All of the work of Brian and Dharmesh is focused on helping companies position themselves in front of this tidal wave of searching that is going on by creating the right content that responds to what net surfers are looking for. Personally, I see this as being so sensible it's difficult to understand how business might fail to see the value being created through their effort. The fundamental relationship between business and their audience has changed and continues to do so at a remarkable pace. The equation is not complex, understand your audience, create, optimize and promote great content for them, implement effective conversion options and monitor and measure the results for continuous improvement. I truly believe that companies who engage with this process will have the opportunity for extraordinary positive outcomes. Those that don't...well, I wish them well. We're at the edge of the future!